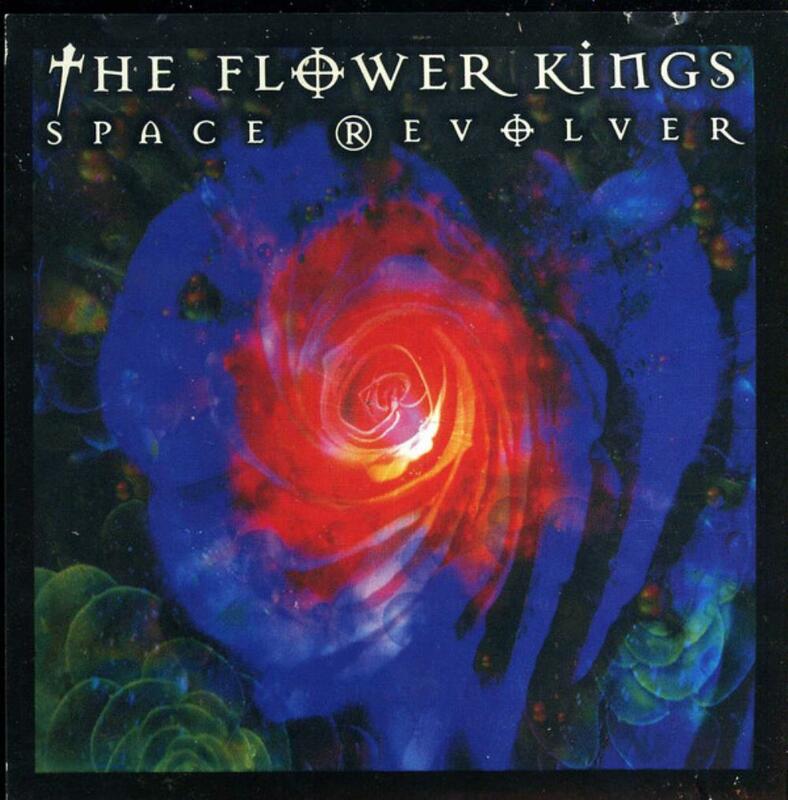 If you are a devotee of symphonic prog and you've been procrastinating about delving into the world of "The Flower Kings" then I can only inform you that you're sadly depriving yourself of hours of delight. Simply put, "Space Revolver" is magnificent. If I must compare the group to a classic band it would be Yes but, having said that, they really don't sound much like them at all. It's in their confident attitude and overwhelming ability, their adventurous musical inclinations and their positive state of mind that they are similar. Discovering them has turned out to be yet another joy that I can thank this site for. You don't have to wait a second before realizing how special this recording is. "I Am the Sun (Part 1)" features a wonderful introduction that incorporates all that makes symphonic prog my favorite form of art and it only gets better from there. It not only has beauty but it also has bite! Of course, if you're aware of my personal preferences, the growling Hammond organ stalking underneath is a plus, as well. After some very melodic verses and choruses Ulf Wallander's soprano sax gives the song a refreshing, change-of-pace perspective before it migrates to a bridge based on the opening theme. Cavernous chiming bells give way to a hard rocking section that turns into jazzy psychedelia featuring the sax, Roine Stolt's expert guitarisms and Tomas Bodin's deft synthesizer work. Unpredictably they then dissolve into an ethereal atmosphere inhabited by deep keyboards and ringing acoustic guitars as the vocal emphasizes our eventual destiny where we will "revolve among stars." The epic's big, gorgeous ending is only one of many to come on this disc. After an almost seamless segue the drummer takes a breather and you are treated to Bodin's soft "Dream on Dreamer" where his silky keyboards provide a backdrop for the exquisite interplay between Jonas Reingold's fretless bass and Wallander's superb soprano sax. Here Roine's soothing vocal urges the listener to "let the story take you in" and "let the dream of dreams begin." Just as you start to relax they toss in the supercharged instrumental, "Rumble Fish Twist," where you discover just how talented drummer Jamie Salazar is. He makes this track blister and it also allows the group to "give the bass player some" as Jonas boldly steps to the forefront and shows off his virtuosity for an adoring audience (is it live or is it Memorex?). The whole thing is tight as nails before it takes a sharp right turn into spacier territory where Stolt utilizes different guitar tones to help taxi the piece towards its full, expansive finale. Another epic, "Monster Within," follows and its lighthearted beginning belies the sudden emergence of the tune's heavy, ominous riff. Roine's intentionally distorted voice only adds to the nightmarish aura the song creates and their impish three-part harmonies on the chorus are delectable. Just when you think you've gotten a bead on these guys they roll in an enormous cathedral organ that leads to a ferocious guitar solo and a forceful, driving segment, demonstrating their incredible ability to constantly transform the colors of their tunes. Once again they provide a melodic, engaging ending that leaves you breathless. "Chicken Farmer Song" is just a great rock ditty that has a kickin', slick rhythm track and expressive vocals where the singer expresses his yearning to "be in the lazy countryside/smilin' in the sun/gracing the eternal summer." Roine's guitar lead bristles with electricity as he creates palpable tension over the drums and bass like he's walking a taut tightrope overhead. Very cool. You get a little of everything with these boys so it's no surprise that "Underdog" begins with slide guitar and stirring bagpipe sounds. What strikes me here is just how gifted they are as songwriters/arrangers because this is yet another in a series of astounding, quality compositions to be found along the way. Stolt's guitar, the reprisal of the cathedral organ and the unexpected psychedelic metal coda are standouts on this track. The sole weak link in the chain comes in the form of Froberg's sappy, overwrought ballad "You Don't Know What You've Got" that is notable only for its crisp, clean acoustic 12-string guitars. Best of all, it's less than 3 minutes in length so it doesn't spoil the overall flavor or flow of the proceedings too much. Feel free to press the skip button, though. The momentary lull is broken quickly by the fade in of a pulsating bass under the poignant verses of "Slave to Money," Roine's ode to the root of all evil. What can I say? It's another stellar song with a passionate guitar ride included and perhaps the most concise tune on the CD. One of the finest aspects of symphonic prog is grandeur and the next cut, "A King's Prayer," has it in spades. It is truly spectacular. Stolt and Froberg deliver an emotional vocal performance, especially in the strong lyric of "We had the world in our hands/the sea and the forest/the lonely land/we had the land at our feet/we had it all/but still it seems it's not enough/enough for the most of us." Roine reaches deeply into his guitar to pull out all the stops as he and the band steadily build to a monumental ending. After that mind-blowing experience a bit of levity is welcome and Stolt sets the table accordingly with the clever, upbeat poetry of "I Am the Sun (Part 2)" where he steps up and away from the depressing troubles of the world and takes you with him. "I'm up for the wheels of wonder/I'm in for the cosmic drive/It's great being alive" he announces as Ulf's charming soprano sax returns at last. The reprise comes in revisiting the original infectious melody that first greeted you, then they slow to a majestic, half- time tempo where the synthesizers, bass, drums and guitar combine to concoct a magical, all-encompassing and orchestra-like atmosphere that is impossible to resist being drawn into. My usual reaction after the last strains of shimmering notes have evaporated away into silence is "Oh. My. God. I've died and gone to symphonic prog heaven!" Yep, it's that dern near orgasmic. I only hope I've done this excellent album the justice it deserves in my review. I realize that some other reviewers haven't been as enthusiastic about this album as I obviously am but this kind of inspired artistry gets me right where I live and I love it without shame. I can honestly predict that if you enjoy glorious cascades of enormous, stately waves of progressive rock flowing into your ear canals then you won't be disappointed in "Space Revolver" in the least. Symphonic prog is alive and well in the 21st century thanks in no small part to "The Flower Kings." Bravo.